'The Santaland Diaries' runs Thursday–Sunday, Dec. 2–18, at the Spreckels Center. 5409 Snyder Lane, Rohnert Park. Thursdays at 7:30pm; Fridays and Saturdays at 8pm; Sundays at 2:30pm. $19–$22. 707.588.3400. "I just rehearsed the show a few days ago—with the alcohol!" says actor David Yen. The Rohnert Park actor is just days away from opening a three-week run of his popular stage adaptation of David Sedaris' Santaland Diaries. Adapted by Joe Mantello, the wickedly funny one-man show describes Sedaris' nightmarish stint as an elf at Macy's legendary Santaland. As performed by Yen and directed by Argo Thompson, the story is set in a living room, with Yen relating the outrageous story as he mixes an increasingly complex series of seasonal drinks to warm lucky theatergoers' bloodstreams. "There's a lot of complicated business involved in mixing some of those drinks," Yen laughs, "and I have to do it while keeping my place in the story!" This will be the fourth consecutive year that Yen and Thompson have joined forces to present Santaland, and the second time back at Spreckels Performing Arts Center, where the show performed to sell-out audiences in the winter of 2009. 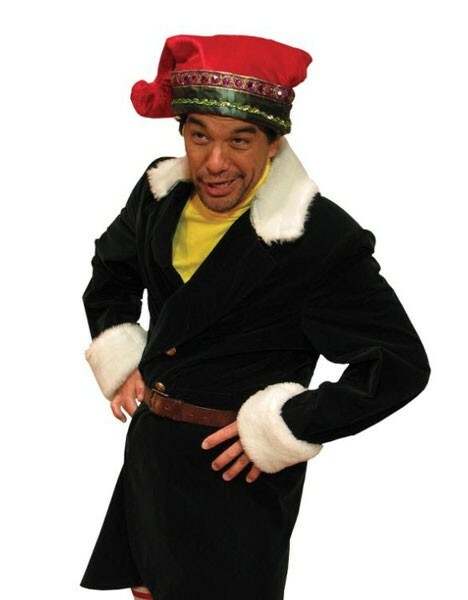 According to Yen, there are fans of the show who follow it from location to location, considering it a family tradition to catch Yen's version of Santaland wherever it is staged. That said, the show is decidedly PG-13. "It's a good alternative to all of the same old holiday stuff. It's fun, it's quirky, it has a kind of nasty edge in places, but it also has a positive message. This crazy story, about a poor actor stuck playing an elf—it just has a way of getting us laughing at the things we all hate about Christmas." Wait. There are things to hate about Christmas? "Of course there are," Yen grins. "I mean, I love The Nutcracker, and I'm a Dickens freak—but how many times can we see the same stories over and over?" Asked what that says about the folks who look forward to Santaland every year, Yen laughs again. "Well, we're talking about the difference between 150 years and four years!" Of course, the big draw, Yen believes, is the underlying message of the play: "I think every good Christmas story is about discovering that, underneath our callousness and bitterness, somewhere there's a tiny flicker of hope and joy, a desire to care for other people. "After all," he says, "that is what this season is about. More or less."